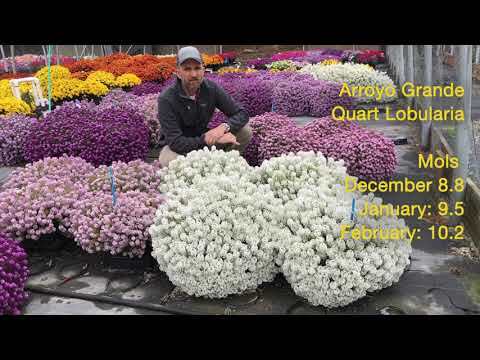 Excellent branching and 2 to 3 weeks longer flowering in the heat make Easy Breezy the only choice in lobularia. Features a non-split habit late in the production cycle for higher sell-through. Medium habit makes for perfectly balanced mixes. Requires less to no PGRs for reduced production costs. Easy to ship, with more plants per rack. NEW Purple: Vigor matches White. Comments: Apply preventative fungicide spray after sticking. Reduce mist as soon as possible. Plant Growth Regulators (S) = spray / (D) = drench: Generally not needed. Grow plants under high light and use negative differential of temperature to tone plant habits. 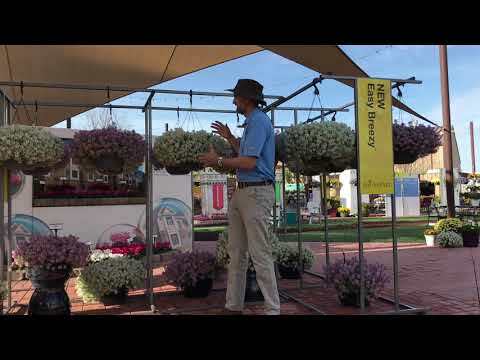 Comments: High light and cool temperatures produce high-quality plants.